This is old version LEO Privacy – Applock,Boost 3.7.7 apk for Android, you can install it if you want to downgrade or install old app. It is top Tools apps from Leomaster. For more variations, you can also decorate the lock screen with customizable themes. The security system of LEO Private Guard can be checked at any time with a single scan. Any sort of loophole among the private data will be detected, so that you can quickly fill in the gaping hole. For more security, LEO Private Guard provides you with a private safe box to hide many private data, such as your photos and videos. You can also hide some contacts, SMSs, and call logs in this safe box as well. 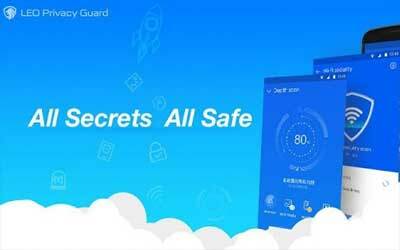 Among the features, LEO Private Guard has very valuable features that allow the system to control Android device when you lose it and also take pictures of your device’s thief. For extra convenience, this application will also increase the overall speed and performance of your Android device. The multifunctional LEO Private Guard for Android is the savior of your Android device, and it will keep it safe from many unexpected factors. A private vault for you to hide some private photos & videos.